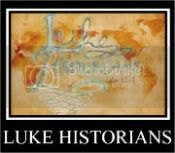 Visit our new website at www.LukeHistorians.com: Christmas Eve in History - "When Science Gets it Right"
Christmas Eve in History - "When Science Gets it Right"
"We are now approaching lunar sunrise and, for all the people back on Earth, the crew of Apollo 8 has a message that we would like to send to you. "In the beginning God created the heaven and the earth. And the earth was without form, and void; and darkness was upon the face of the deep. And the Spirit of God moved upon the face of the waters. And God said, Let there be light: and there was light. And God saw the light, that it was good: and God divided the light from the darkness..."
"When a whining (Mother of Atheism) Madalyn Murray O'Hare attempted to sue NASA for the above, the courts tossed the case out because it was out of their jurisdiction. Funny."